There are 111 seats in the parliament (as stipulated in Law No. 1 passed in 1992). The Kurdistan Parliament is lead by the Speaker, Dr. Arsalan Bayez, who is assisted in his duties by the Deputy Speaker, Dr Mohammed Hassan. In February 2009 several amendments were made to the Kurdistan election law to increase inclusiveness of all groups. The minimum age of parliamentary candidates was lowered from 30 to 25. While seats had already been reserved in previous elections for minority communities, for the Christian and Turkmen communities this was increased to five seats each. The legal minimum quota of women MPs was increased from 25 percent to 30 percent of the legislature. In the current parliament, 36 of the 111 MPs are women. Faced with the administrative vacuum and double embargo, the Kurdistan Front, an alliance of diverse political groups in the Kurdistan Region, decided to hold a general election. Their goal was to establish an administration to provide for essential public services and to meet the basic needs of the people. The population also expressed a strong desire to choose its representatives. The election, held on 19 May 1992, was the first free and fair parliamentary election in the history of Iraq. A minimum 7% threshold was set for representation in the parliament. Voter turnout was very high and the elections were deemed to be free, fair, and democratic by international observers. After decades of dictatorship, the people in Kurdistan were able to vote for their representatives for the first time in their history. Elections for the Kurdistan Parliament are held at least every four calendar years, (as stipulated in-Article 8 of the Kurdistan Electoral Law). The last parliamentary elections were held on 25 July 2009. Anyone aged 18 or over who is a citizen of the Kurdistan Region and is on the electoral register is eligible to vote in a direct, universal and secret ballot. Elections for the Kurdistan Parliament are based on a closed party-list proportional representation system. Electors vote for a party’s list of candidates, rather than for an individual candidate. After the election results are announced, each party is allocated seats in proportion to the number of votes it received, using the ranking order of candidates on its list. As provided in the federal constitution of Iraq, parliament has considerable power to debate and-legislate on policy in a wide range of areas: health services, education and training, policing and-security, the environment, natural resources, agriculture, housing, trade, industry and investment, social services and social affairs, transport and roads, culture and tourism, sport and leisure, and ancient monuments and historic buildings. In addition, under Article 121 of the Iraqi federal constitution the Kurdistan Parliament has the right to-amend the application of Iraq-wide legislation that falls outside of the federal authorities’ exclusive-powers. 1 Armenian independent MP: Mr Aram Shahin Dawood Bakoyian. placing limits on the practice of polygamy. prohibiting and punishing by law the practice of female genital mutilation. 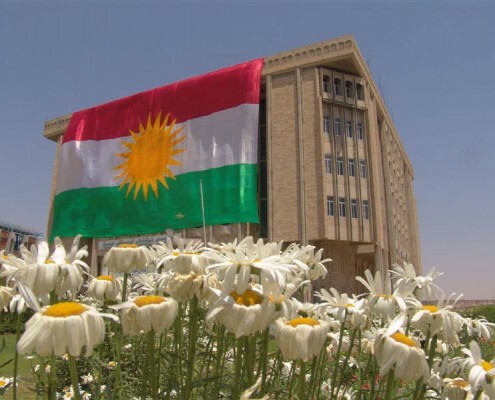 the Kurdistan Parliament approved by a large majority a draft constitution for the Kurdistan Region, and intends to put it to a referendum in the future.